This cream is suitable for individuals who have dry, normal and oily skin. It is suitable for individuals with sensitive and acne-prone skin as well. Our cream is 100% Certified Organic, 100% natural, 100% vegan and 100% pure. It is cruelty-free, paraben-free, GMO free, chemical free and toxin free. Also known as the flower of flowers, ylang-ylang flowers are sweet smelling yellow flowers from which the essential oil is extracted. These flowers are native to Indonesia, Malaysia and other South East Asian countries. Ylang-ylang oil helps to balance excess oil-production in the skin, making it perfect for combination skin. It soothes irritants in the skin, can treat boils and has an anti-septic property which is good for treating acne. The sweet aroma of ylang-ylang essential oil acts as an anti-depressant as well as an aphrodisiac. Pure pomegranate oil contains a unique polysaturated oil called "punici acid", and imega fatty acid, which has strong inflammatory properties. The oil fends off free radicals to keep skin ageing at bay. It also helps protect against sun damage. Pomegranate seed oil is anti-inflammatory in nature, improves skin texture, is a great source of anti-oxidant, revitalizes dull and dry hair, balance the pH level of skin, and keeps the skin youthful and ageless. Ginseng roots have been used in Chinese medicine for centuries to promote life, strength and wisdom. Ginseng has many healing and calming properties which helps in skin rejuvenation. Ginseng helps to reduce wrinkles and fine lines, brightens the skin tone, and is good for sensitive as well as oily skin. Goji berries, also known as "wolf-berries" are native to the mountains of Tibet and China. Legend has it that they were discovered by Tibetan monks who incorporated these into their lifestyle quickly, which is the secret to their longevity. Goji berries have 11 essential minerals, amino acids, Vitamin C, carotenoids and polysaccharides, which give them all the wonderful anti-ageing properties. Glyceryl Stearate Citrate is a 100% natural emulsifier made of glycerine and fatty acids derived from vegetable oils. It provides the skin with a soft and smooth appearance and it also safe for sensitive skin. Also known as the flower of flowers, ylang-ylang flowers are sweet smelling yellow flowers from which the essential oil is extracted. These flowers are native to Indonesia, Malaysia and other South East Asian countries. Ylang-ylang oil helps to balance excess oil-production in the skin, making it perfect for combination skin. It soothes irritants in the skin, can treat boils and has an anti-septic property which is good for treating acne. The sweet aroma of ylang-ylang essential oil acts as an anti-depressant as well as an aphrodisiac. 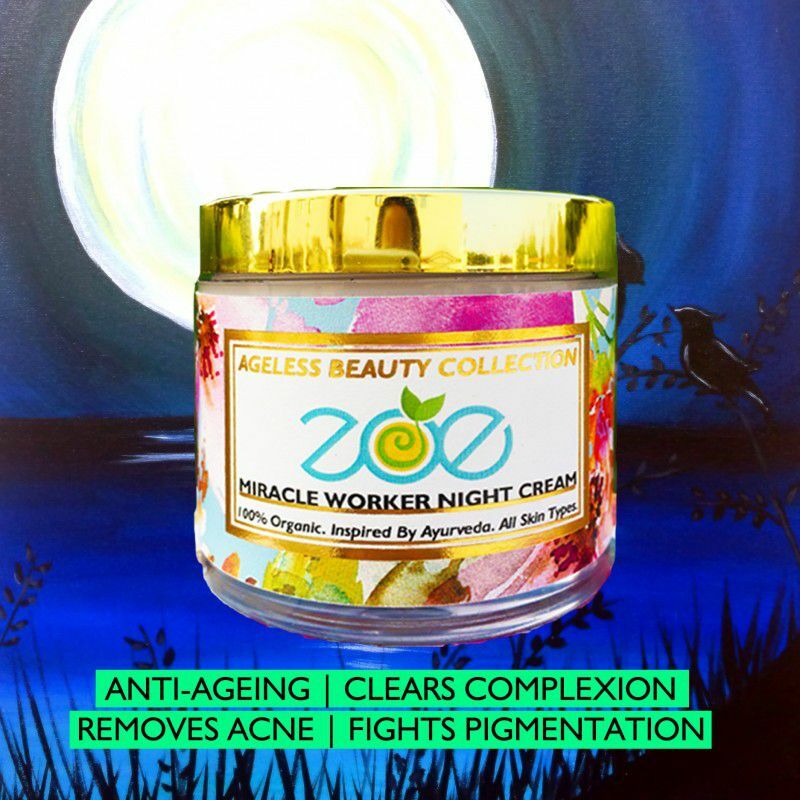 Apply a small amount of the 'Miracle Worker Night Cream' on your face and neck with upward strokes till the cream is completely absorbed. Sleep beautifully and wake up to awesomeness. Good for sensitive and acne-prone skin as well. Apply every night for best results. 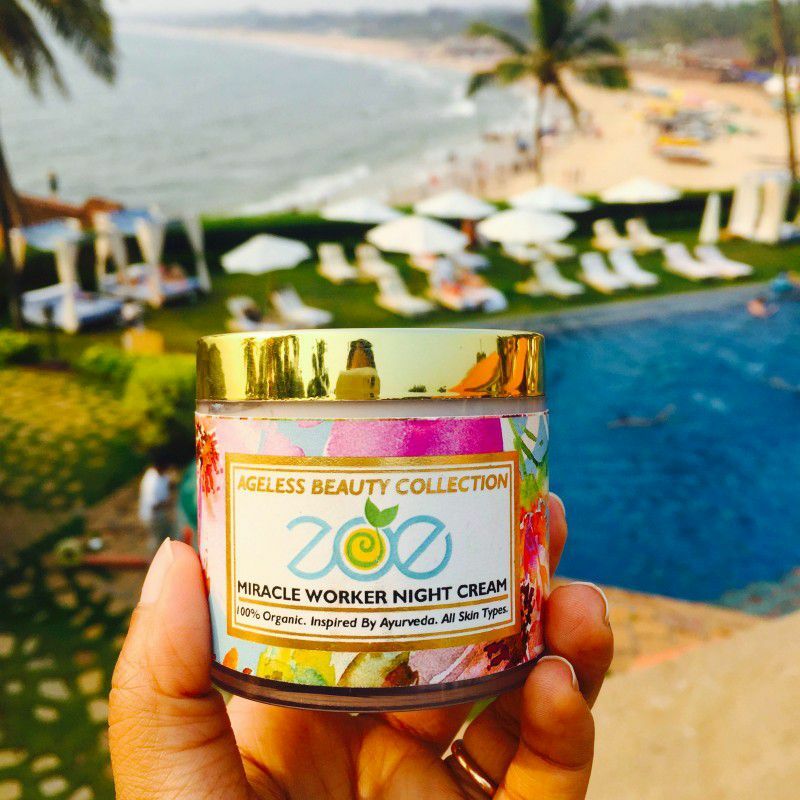 Our 'Miracle Worker Night Cream' is 100% Certified Organic, 100% Natural, 100% Vegan and 100% Pure. 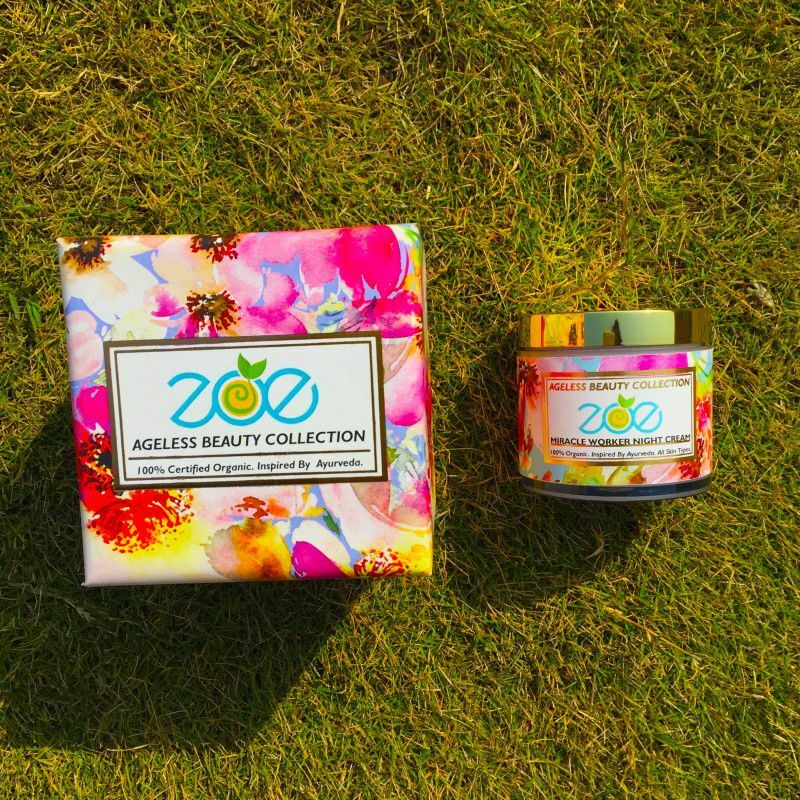 It is Cruelty Free, Paraben Free, GMO Free, Chemical Free and Toxin Free. Contains 100 grams of cream.